In a tranquil apartment in Hayes Valley, a small side table topped with perfectly-folded T-shirts packed carefully away in a plastic container serves as a daily reminder that more than 7,000 miles away in Japan, daily life for many tsunami survivors is anything but peaceful. While the international spotlight may have faded from Japanese relief efforts, Wyatt Sweet, 27, Emily Schwartz, 26, and friend Kamiu Lee, 26, are continuing fundraising efforts through their small initiative, Tees for Japan. “It can be many years before a country is kind of up and running (after a disaster) so part of our job has been keep informing people of what the situation is there and that people are still in need of help,” said Sweet, an SF State alumnus. Mostly a word-of-mouth effort, their fundraising is built around a simple gray T-shirt, emblazoned with a bright red emblem created by Schwartz, who by day works as a graphic designer. 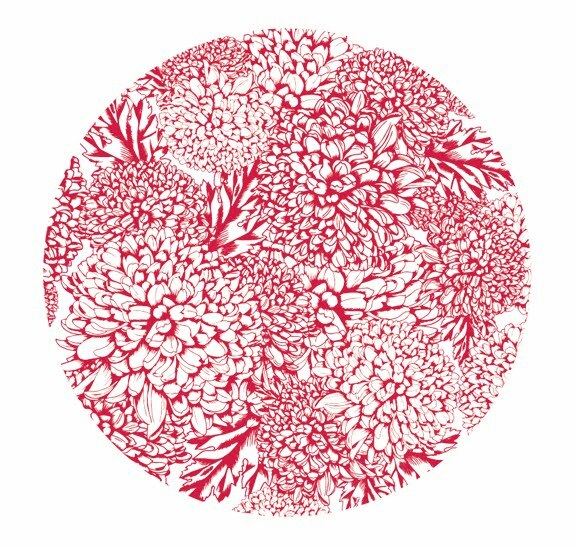 The result is an image of chrysanthemums taking the shape of the round, red circle that dominates the Japanese flag. “You know, it’s clear. Maybe some people get it and some people don’t, but it has a connection, I think, that is reminiscent of Japan. But, it’s not necessarily so literal… A lot of people seem to respond positively to the design,” said Schwartz. Roughly $11 from every shirt sold is donated, as the group has managed to keep costs low by doing all the work of marketing their charity efforts and packaging the product by themselves. Operating out of Schwatrz’s apartment, with Sweet living just downstairs, has given them the flexibility to keep up with orders before and after their day jobs. Lee, who works as a financial analyst in New York, has been a friend of Schwartz since they attended Boston University together. She primarily deals with the finance end of the effort, although she has also kept a small stock of shirts in New York for friends and co-workers interested in helping. The group has partnered with SHINE Humanity, a Southern California-based non-profit, as means to donate the money they raise. Seema I. Hassan, director of administration, program management and operations for SHINE, said that the money raised by Tees for Japan will go toward a new phase of the recovery effort. “We will be providing funding for five months for Youth for 3.11, a nonprofit Japanese organization, that has been sending undergraduate and graduate youth volunteers to the disaster sites since the earthquake for providing services such as debris cleaning, offering academic help to children, social events for the survivors, etc. We will be applying the funds from Tees for Japan for this phase as we feel there is a great need still for volunteers and this organization is providing a valuable service to the community of survivors,” said Hassan in an email.